A very famous surf spot in Baleal, just about 5 km to the north of Peniche. The wave is situated between Prainha and Gigi surf spots. This part of Peniche is a very lively place with restaurants and beach bars around. There is a big parking place usually full of vans and surfers from around the world. You don’t need to stay salty, because there is a shower just next to the beach. 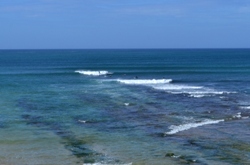 Lagido is a reef break with long left waves. This is mainly a left handed wave, but it has a right handed peak, too. It can be a very good surf session, but the crowds are quite often in Lagido, since it is one of the most favorite spots in Peniche. Be careful about the rock bottom. It requires some experience to surf this wave. 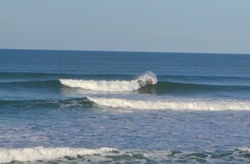 Beginners can try the right wave or find their spot just next to at Prainha. 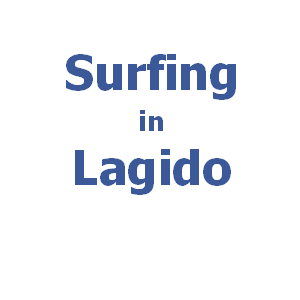 Lagido works best with south or east wind and north or northwest swell. This break works well in all tides, but the best tide position is when it’s rising from the middle tide to the high tide.